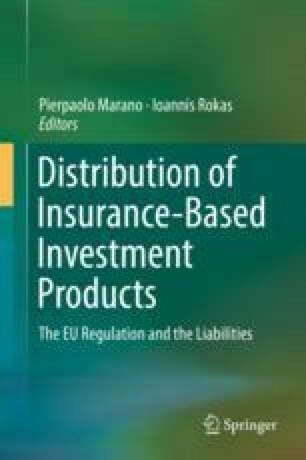 This Chapter aims to offer an overview of the law relating to the distribution of the Insurance Based Investment Products in the UK. Both the Insurance Act 2015 and the Consumer Insurance (Disclosure and Representations) Act 2012 will be discussed in this context alongside EU Law. Moreover the Financial Conduct Authority Handbook will further be examined. Finally, the potential impact of the UK’s departure from the European Union with further be discussed. Thanks go to Dr Timon Hughes-Davies for advice on parts of this chapter.